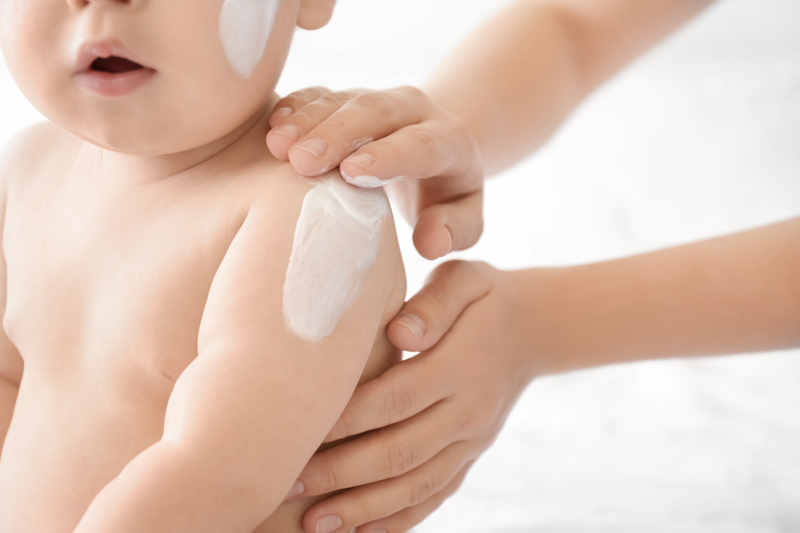 When protecting your family from the sun, it is important to know what is in your sunscreen. 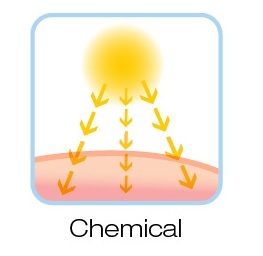 The two main types of sunscreens are Mineral and Chemical. Both say that they can protect you from the sun, but which one is really the best choice? We have provided the facts so you can choose the one that is right for you! Between 2007 to 2018, Mineral Sunscreen has increased by 41% in the United States. This means that many people are looking for a better alternative to Chemical Sunscreen. Mineral Sunscreen is also known as a physical sunscreen that acts as a shield between you and the sun. This can be compared to a mirror reflecting the sun’s UV Rays. This type of sunscreen sits on top of your skin does not disrupt your hormones. Here at Sunscreen Scout, we prefer Mineral Sunscreen as it is the safest and most natural way to protect yourself from the sun when using sunscreen. Taking it one step further, it is important to pick a Mineral Sunscreen with non-nano zinc and titanium particles. 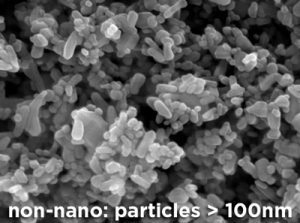 Non-Nano means that the primary particle size is greater than 100 nanometers. It will take more time to apply Non-Nano Mineral Sunscreen into your skin as it will leave a white cast, but current scientific studies highly recommend non-nano sunscreen. With this in mind, non-nano ingredients will be clearly labeled on the bottle or in the ingredients list. If you are unsure about the ingredients in your sunscreen, you can contact the company for more information. We especially like, ThinkSport Kid’s Safe Sunscreen,that has clearly labeled, Non-Nano Zinc Oxide 20%, listed in the ingredients on the back of the bottle. Nanoparticles, such as zinc and titanium, are so small that they must be measured in nanometers. One nanometer equals one-billionth of a meter. For comparison, 10,000 nanoparticles could fit in the diameter of a human hair! This is cause for concern as some believe that these tiny nanoparticles can be absorbed in to the skin because human pores are approximately 50 nanometers in diameter. However, recent studies have shown that nanoparticles cannot be absorbed in to the skin and still sit on the dermal layer. A report from the German Federal Health Institute concluded zinc stayed on the skin’s surface as was not absorbed. The report noted the zinc could remain on the skin’s surface and accumulate around the hair follicles, but hair growth pushed the particles back to the skin’s surface. There is more research to be done on nanoparticles, but at this time it is recommended to use Non-Nano ingredients in sunscreen. Chemical Sunscreen is the most popular type of sunscreen in the United States. 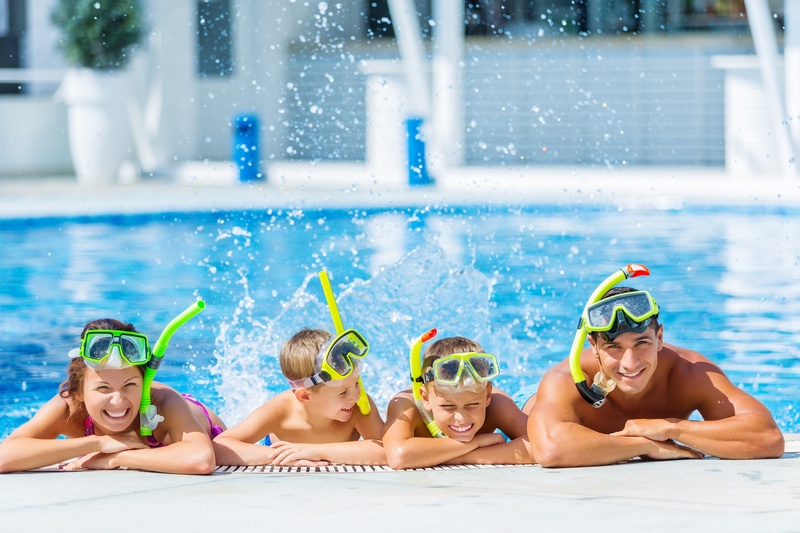 In fact, there are hundreds of sunscreens in the market today that contain a combination of two to six of these active ingredients: oxybenzone, avobenzone, octisalate, octocrylene, homosalate, and octinoxate. These ingredients along with Vitamin A do more harm than good as they interact with your body’s hormones and create a chemical reaction in order to deflect UVA/UVB rays. In fact, these chemicals have been found in small amounts in breastmilk and nursing mothers are encouraged to avoid some of these chemicals. 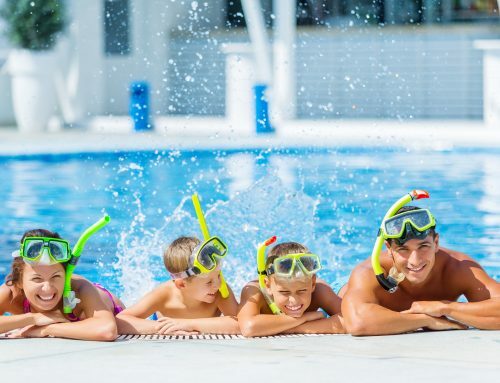 One of the most concerning chemical found in sunscreen is oxybenzone which penetrates the skin, gets into the bloodstream and acts like estrogen in the body. In fact, oxybenzone has been linked to endometriosis in older women and lower testosterone levels in men. It can also trigger allergic reactions such as itching, redness, and eczema. You can view and sign a petition to remove oxybenzone from sunscreen here at EWG. Vitamin A can be in many forms in your sunscreen ingredient list such as Vitamin A, Retinol, Retinyl Acetate, Retinyl Linoleate, and Retinyl Palmitate. They are found in 12% of Beach and Sport Sunscreens, 15% of Moisturizers with SPF, and 5% of Lip Products with SPF. Astonishingly, Retinyl Palmitate has been shown to speed up the development of skin tumors and lesions in government studies, yet it is still allowed in sunscreen! Look at the Inactive Ingredients Too! While looking at the ingredients on the sunscreen label, it just has important to check out the inactive ingredients, especially if you have sensitive skin, eczema or allergies. Please note that the FDA Sunscreen Monograph requires that inactive ingredients be labeled in alphabetical order instead of concentration level. This can be alarming when toxic or hormone disrupting ingredients are included in the sunscreen as the consumer may not actually know the general amount added. Our mission is to put better products in the hands of others. Here at Sunscreen Scout, we will always recommend Mineral Sunscreen over Chemical, but ultimately the choice is up to you. Please view our list of top Mineral Sunscreens for babies as we provide honest, in-depth reviews of the top rated Mineral Sunscreens out in the market today! Mineral Sunscreen is also known as a physical sunscreen that acts as a shield between you and the sun similar to a mirror reflecting the sun’s UV Rays. This type of sunscreen sits on top of your skin and is not required to absorb into your skin and disrupt your hormones. Here at Sunscreen Scout, we prefer Mineral Sunscreen as it is the safest and most natural way to protect yourself from the sun when using sunscreen.